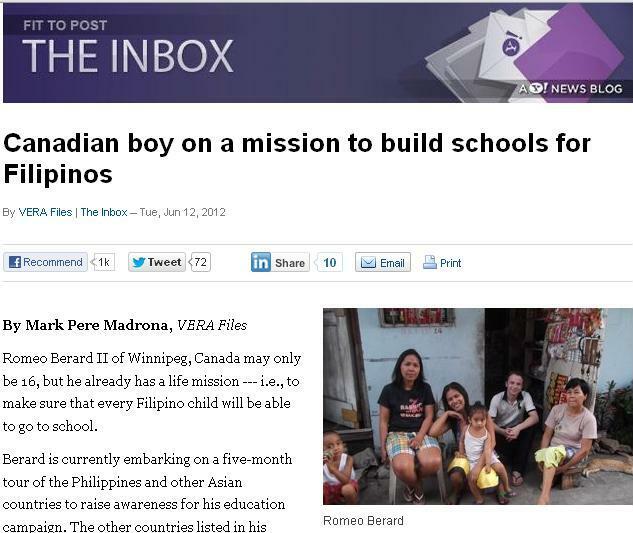 As the Philippines marked its 114th Independence Day last June 12, independent media outlet Vera Files published my feature article about Romeo Berard II, a 16-year-old philanthropist from Winnipeg, Canada. The piece also appeared in Yahoo News Philippines (where Vera Files regularly provides content) on the same day. I did not receive any prior notification that the story will be published that day. In fact, Berard had to ask me via Facebook if the story had already appeared since he’s been flooded with friend requests on his account. He is now in Vietnam, the second stop in his five-month Asian sojourn. Far from being a globetrotting tourist, hiss main objective in this trip is to spread the word about The Shining Leaders Foundation (TSLF). Founded by Berard himself last March, the organization aims to build one school per year in less-developed communities in this part of the world. Aside from Philippines and Vietnam, other countries listed in his itinerary are South Korea, Philippines, China, Nepal, India, Thailand, Cambodia, Laos, Myanmar, and Indonesia. Berard does not come from a lavishly wealthy family, and the funds he is currently spending largely come from his own savings. As he related to me during our interview last May 19, he had to work in Netflix Canada for seven months to earn enough to finance his endeavor since his parents were at first skeptical about his plan. He may not be a Filipino by blood, but having Filipino friends from his hometown endeared the Philippines to him. According to Wikipedia, there are three Filipino newspapers in Winnipeg. He aims to run for a parliamentary seat before the decade ends. Canadian law allows anyone above 18 to seek an elective post. If by any stroke of luck, he ends up becoming his nation’s prime minister, Berard said he wants to allot more development aid for the Philippines. “I want to serve the people through my humanitarian efforts,” Berard said. He added that he is willing to go “door-to-door, and to different politicians, private companies, and universities” for the TSLF to really meet its goals. The opening of the academic year this month once again reminds us that too many young Filipinos are not able to finish their studies because of poverty. According to figures from the Department of Education, of the 100 students who will enter Grade 1, only 14 will go on to obtain a college degree. Berard’s goal may appear too unrealistic to some naysayers. However, keep in mind that if a foreigner can be so determined to do something to reverse the situation, why would Filipinos themselves not do their share? PS: Before I end this, let me express my sincerest appreciation to two people who made this story possible. 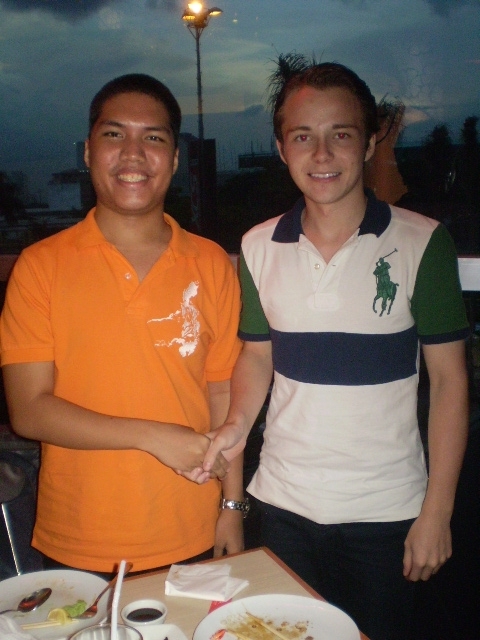 To Ms Beverly Casta, who told me about Romeo’s efforts through my blog (without any idea who I am. LOL). We exchanged emails about Romeo even before he arrived in the Philippines last April 22. 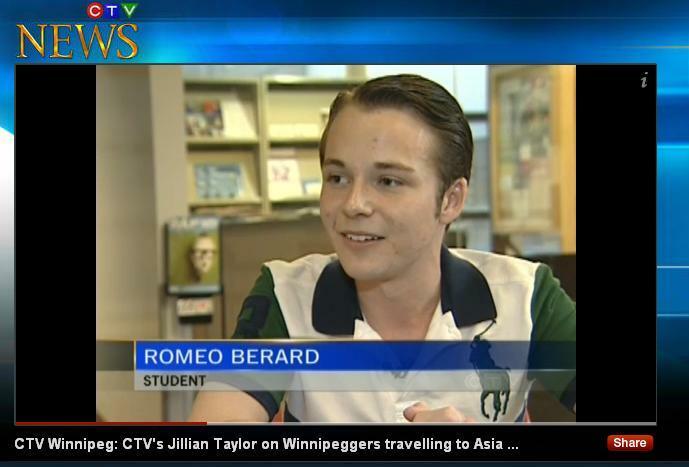 It took almost a month before we finally got to arrange the interview because of Romeo’s tight schedule. Lastly, I want to thank Ms Yvonne Chua, a Vera Files trustee (and my college thesis adviser), for believing that Romeo’s story is indeed worth publishing.